ToadScan is a community website that allows you to record and map sightings of cane toads, the problems they cause, and control activities in your local area. Use ToadScan data to identify where to control cane toads in your local area, and work with local land managers to undertake a coordinated control program such as a Toad Muster event. Simply register your details (name and email address) and login to start mapping cane toads in your local area on the ToadScan Google Map. Information entered can help to coordinate on-ground control. Record cane toads in your area, and create a map showing all the cane toad records in your local area or a map of your data. Use this information to plan and implement control activities and work in unison with your neighbours. Are you part of a coordinated Cane Toad control program? 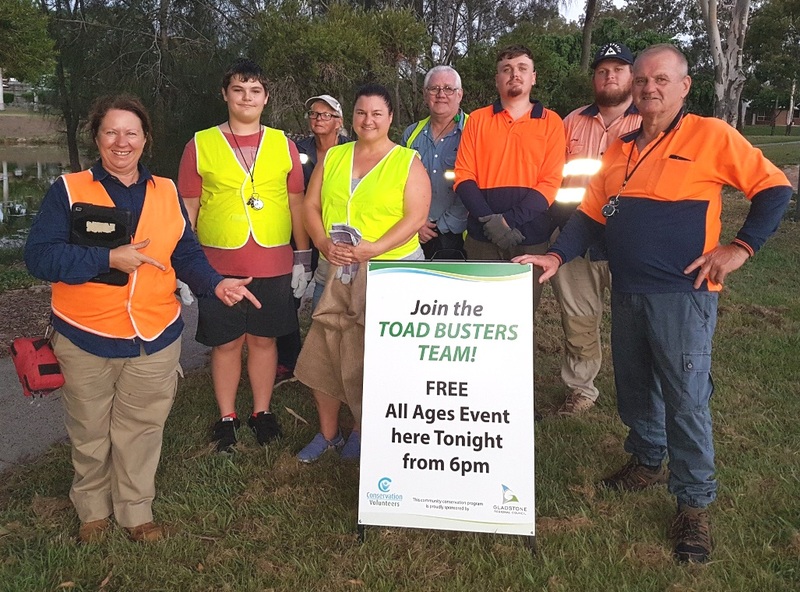 Working in a coordinated pest control group with your neighbours (or local community) is the best way to reduce a cane toad population and maximise the long-term benefits of control. If you need advice on how to establish a control group, contact your local pest management authorities. ToadScan hosts a new Community Networking facility for you to create or join an online group to share your observations with other people in your local area (e.g. local council or Landcare group). By joining a group, you can (1) keep members informed about current problems, (2) work together with members to target problem areas, and (3) measure the outcomes of control across your local area. Do you know how to correctly identify a cane toad? 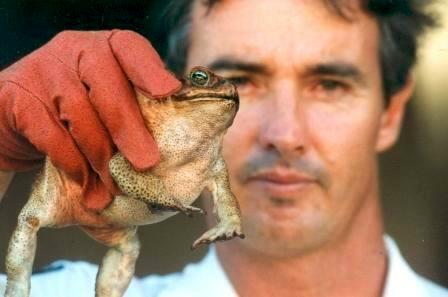 Make sure its a cane toad and not a native frog! All native frogs are protected!! Hear about the achievements of others in controlling cane toads and the benefits they have received. Community action can make a difference. Reducing cane toad impacts is best achieved when control is coordinated at local and regional scales. Catchment and Natural Resource Management (NRM) groups are being connected to ToadScan. Using ToadScan in your local area can help your regional group(s) to identify opportunities to support local and regional control.